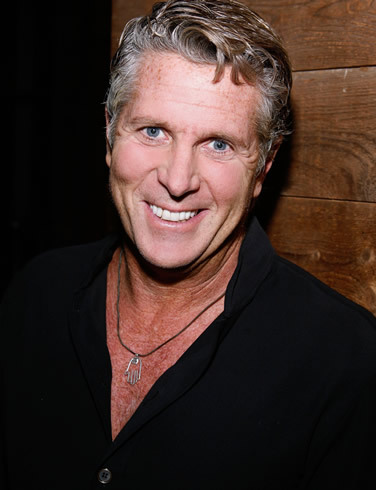 Donny Deutsch, whose full name is Donald Jay Deutsch, is a U.S. born ad executive, journalist, businessman, and TV personality. The go-getter was born to a Jewish family in Hollis Hills, which is a neighborhood in the Queens borough of New York City (NYC). The future businessman attended Martin Van Buren High School, followed by the Wharton School of the University of Pennsylvania in Philadelphia, Pennsylvania. In 1969, his father founded David Deutsch Associates, a prominent ad agency in NYC. In 1983, the future TV personality joined his father’s firm and was given full control of the company as well as named chairman in 1989. Donny would later change the name of the company to Deutsch Inc. In 2000, he sold the company to the Interpublic Group of Companies for $265 million, which accounts for the businessman’s impressive net worth. Following the sale of his company, Donny made his foray into journalism and television. The former ad executive was the host of CNBC’s The Big Idea with Donny Deutsch from 2004 to 2008. Moreover, the TV personality has also been a regular contributor on NBC’s Today Show and Morning Joe on MSNBC. In 2013, the TV host had a show called (Get to) The Point on CNN, which only lasted one week due to poor ratings. In 2015, the USA Cable Network launched a show called Donny!, which is a half-hour comedy series featuring Deutsch playing a fictionalized version of himself. In addition to his other endeavors, the versatile businessman is also the author of two published books, Often Wrong, Never in Doubt – Unleash the Business Rebel Within (2005), and The Big Idea: How to Make Your Entrepreneurial Dreams Come True, From the Aha Moment to Your First Million, which was published in 2008. Net Worth: Due to the successful sale of his ad company, Deutsch’s net worth is approximately $200 million as of 2015. Birth Date and Birthplace: The former ad exec was born on Nov. 22, 1957, and he was born/raised in Hollis Hills (Queens), NYC, NY, U.S.
Profession/Occupation: Deutsch is an author, journalist, businessman, talk show host, TV personality, and ad executive. Martial Status: Deutsch is divorced from his former wife and has a child with a former girlfriend. He is the father of three children. Obscure and/or Little Known Facts: He has a five-story house in NYC as well as a home in The Hamptons. He has declared himself a proud Democrat and feminist. I smile when I see you on Morning Joe- let them have it! !